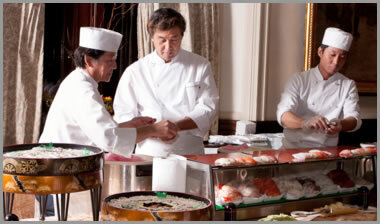 Endorsed by many highly respected Chefs and valuable clients in the Chicago area, M Square’s specialty and strength in providing Live-Action Sushi with premium ingredients and experienced chefs have drastically expanded our business. We proudly guarantee any clients with satisfaction and memorable moments with on-site display of sushi chefs making sushi in front of your eyes! The Chef on site services includes Sushi Chefs and helpers, Sushi showcase, Chopsticks, Soy Sauce, Wasabi & Ginger, and all Condiments and equipment. 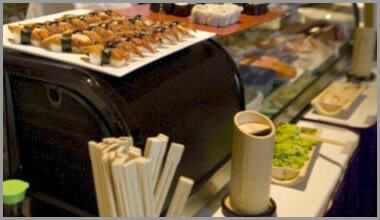 Impress your customers with authentic Japanese style service, or concept or theme-based events for clients worldwide!